The poster surface is cloth-covered cork and has an area 4’ high and 8’ wide. Do not exceed the size of the poster surface area. Prepare a heading to appear across the top of the board identifying your title and authors. Keep the board heading within an area of 7” down from the top. You may use the entire width of the board. The lettering of this section should not be less than 1” high. Please work with your in-house service department or a local vendor to create your poster. Make your poster in several small sections for easier transport and placement on the board. Do not mount illustrations on heavy cardboard because they may be difficult to keep in position on the poster board. Stay with standard paper sizes, such as 5” x 7”, 8½” x 11”, 11” x 14”, etc., rather than odd shapes. Keep text and legends short. All material must be readable from distances of 3 to 5 feet. You are strongly encouraged to use type no less than ¼” high (22-point type), using bold type to ensure legibility. Make all print dark (preferably block style) on a white or very light background. Please do not use a dark-colored background. All materials should have a flat (not glossy) finish. Keep your presentation concise and the number of pieces to a minimum. Charts, drawings and illustrations should be similar to those you would use in making slides or, if anything, be more basic and heavily drawn. Keep everything as simple as possible. Avoid “artsy” or overly ornate presentations. Block letters can be very useful to add emphasis and clarity. If photographs are used, try to have them processed with a matte or dull finish. Captions should be brief. It helps the viewer a great deal if you can indicate (by numbers, letters or arrows) a preferred sequence that might be followed in studying your material. 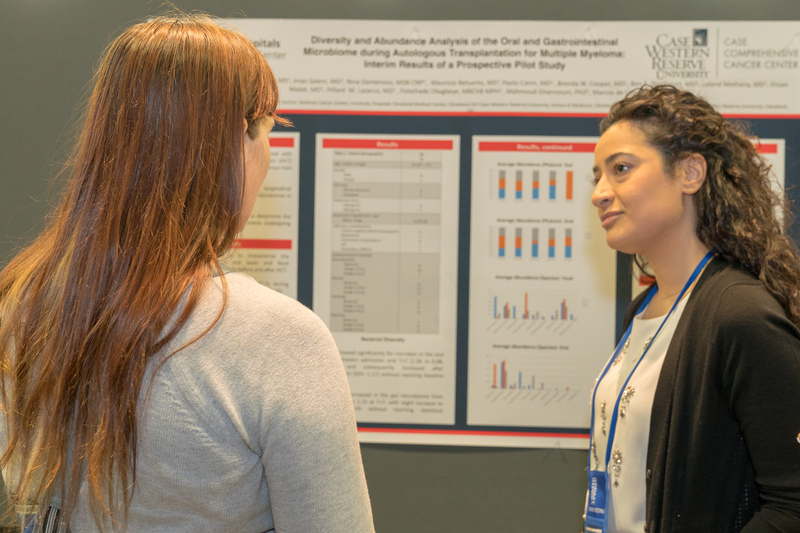 Your poster should be self-explanatory so that you are free to supplement the information and discuss particular points raised by inquiry during the meet-the-authors session. The session provides a more intimate forum for informal discussion than lecture presentations, but this becomes more difficult if you are obliged to spend a lot of time explaining your poster to a succession of visitors. Thumb tacks and straight pins can be used on the Board. Use thumbtacks or straight pins to attach material to the surface of the cloth-covered cork. Do not use glue, tape or staples. An ample supply of push pins will be available on site. Projection equipment and electrical outlets will NOT be provided in the poster session area. Use type no less than ¼” high. Use thumbtacks or straight pins to attach materials to the board. No dark backgrounds. Avoid high-gloss photos. Keep the heading within 7” from the top and include your abstract number, title and name of authors. Display of commercial/product sales posters is prohibited. Any poster that is deemed to be a commercial advertisement will be removed from the poster hall. Company logos are prohibited. Posters should only contain evidence-based statements. Use generic (not brand) product names. Poster presenters are required to list relationship disclosures for themselves and all co-authors at the bottom of the poster.